Wow! 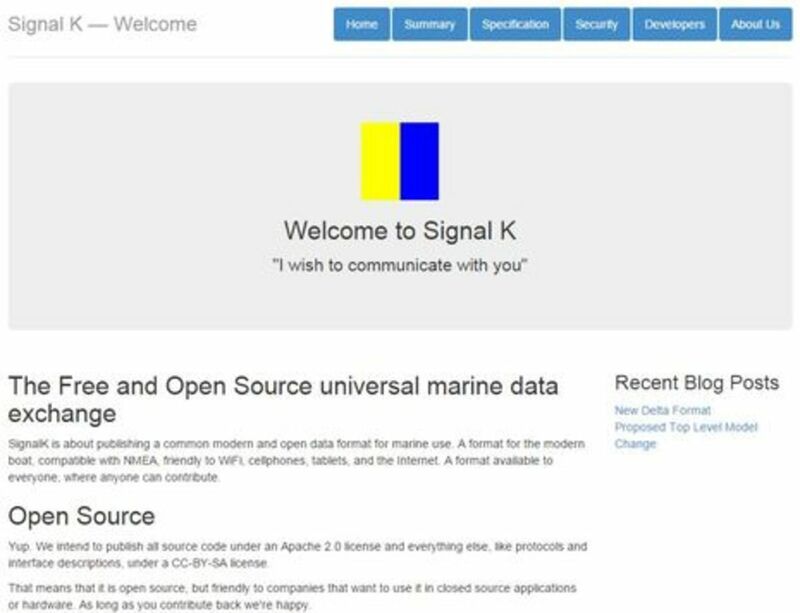 Today the National Marine Electronics Association -- also known as NMEA, or IMEA for its International reincarnation -- announced recognition of the Signal K open source marine data project. 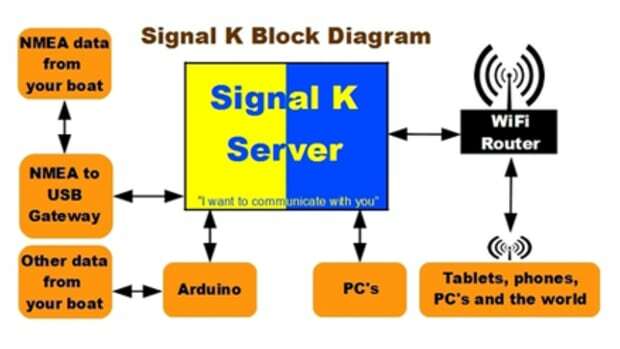 So what is Signal K? Well, right now it&apos;s an international crew of sailor/geeks with a common vision of what can be done with boat data and the Internet and how to do it. 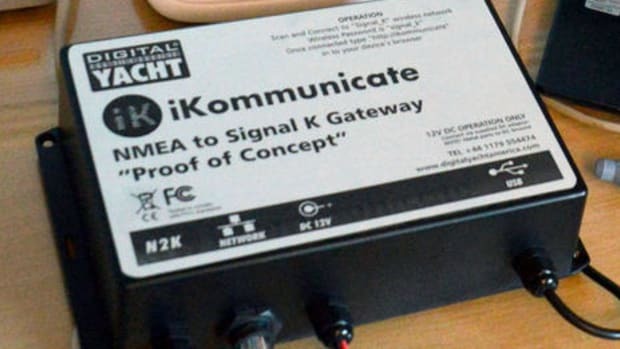 They also seem to have a wry sense of humor, given that the project name references the signal flag Kilo, which was used not so long ago to indicate that you wanted to talk with another vessel by hand signals, megaphone, or possibly Morse Code blinked out with a oil lamp. Signal K aims to organize boat data so it can be easily shared vessel-to-vessel (and vessel-to-shore) in nearly infinite depth. 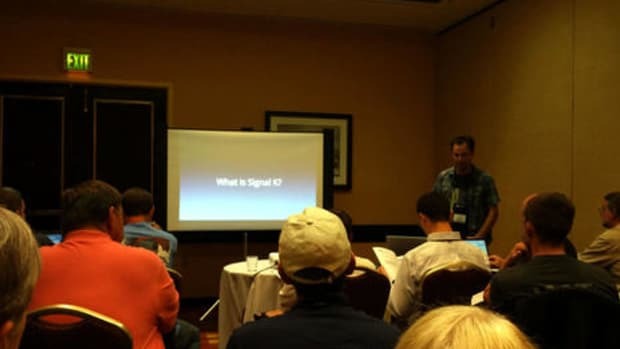 Note, too, that Signal K is using an open source model that is friendly to both individual developers who would like to tweak the code for their own boat&apos;s super system and to commercial developers who&apos;d like to package it into finished products for the rest of us. Remember the time before the internet?...Well, boats are still like that. What made the internet possible is common protocols - SMTP (mail), HTTP (web), all running over TCP/IP (the transport system). So, while all browsers are different, they all understand HTTP. 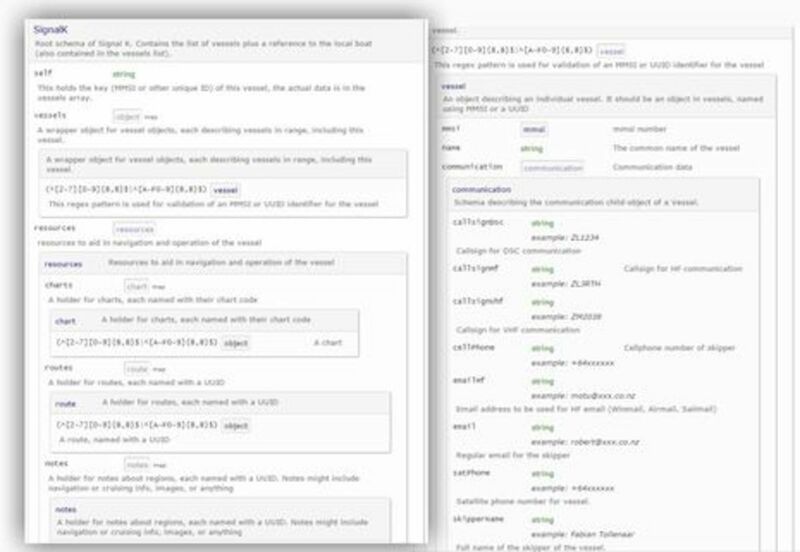 It&apos;s the common protocols that make it possible to mix and match different software in a practical way. It enabled communication and that&apos;s why the internet changed the world, just as the phone did earlier. 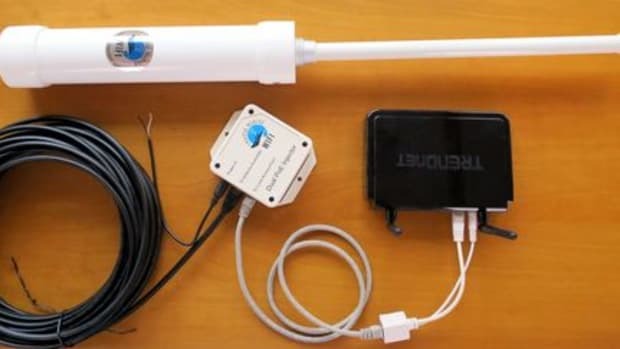 While NMEA is a good solution onboard via cables, it was never designed to provide WiFi, or wider communication with the internet, other boats, or arbitrary services that we encounter every day now (governmental, business, social). 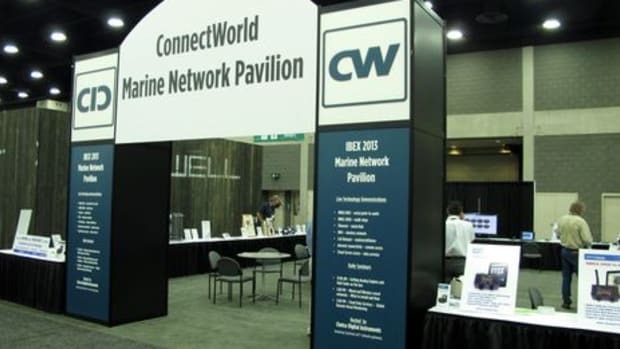 There is no common marine protocol for these services, nor is there a standard way to transfer data from one vessel to another, or to a shore station, or over the internet. And that wider communications needs security, which was never really considered onboard. It&apos;s the same as the early PCs. 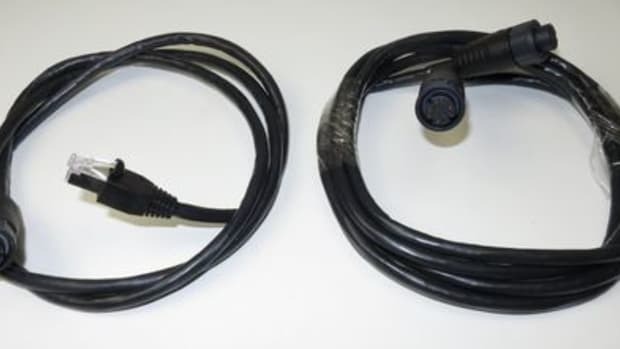 So Signal K provides that missing communication standard - it means that the marine equipment you use in the future won&apos;t be limited to the NMEA2000 cable. It will be accessible via Bluetooth, or WIFI, or over the internet without expensive custom boxes and special software. It opens up marine data access so that app developers can easily build apps for tablets and phones, which will lead to a lot of really interesting new stuff. It helps crowdsourced services too and enables a whole new area of shared data from boats - race coordination and tracking, vessel performance, cruising rallies, etc. * When I go sailing my friends&apos; boats show on my chartplotter. We decide to meet at spot x, with a tricky entrance. I have a stored route into the bay, I select it and drop it on their vessel icons on my chartplotter. It pops up on their chartplotter. I do the same with some cruising notes I&apos;ve made, and the new marine reserve boundaries I have. 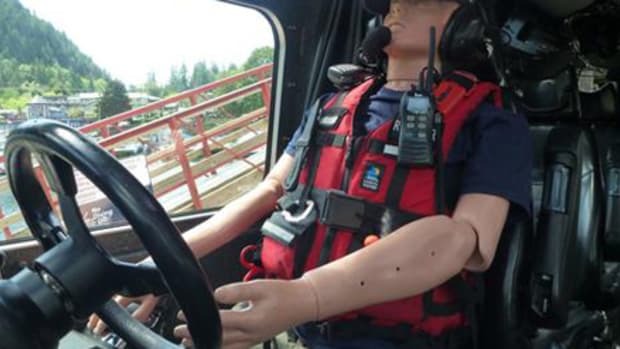 * For Wed night racing I import tonight&apos;s course and briefing notes from the race committee boat just before the start. After (over a beer in the clubhouse) we review the race playback, our performance, and various tactics on my tablet. But Signal K isn&apos;t just futuristic, and there are multiple ways it can be used. Another K developer (and occasional Panbo contributor), Kees Verruijt, answered my query thusly: "Note that the project developers have never been as pie-in-the-sky-what-can-we-do-with-IoT (Internet of Things) as it may seem. We all had an itch to scratch. 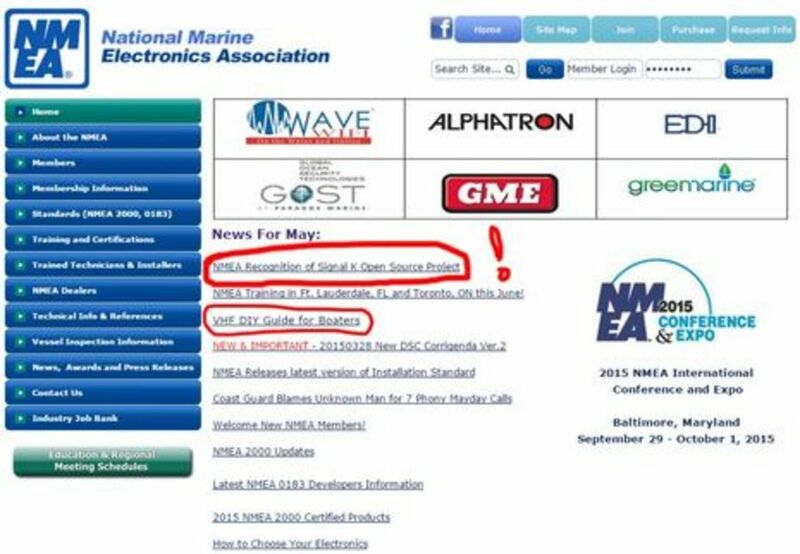 I&apos;m sure that the project will encounter some future road bumps, but I think that with the support of the NMEA this will be the &apos;next gen&apos; platform for recreational boating data." The first itch is getting boat data out to PC and mobile apps in a smooth way, and that will likely be its first use in the real world, as it is in the collage of Signal K demos above (note the exposed message strings in some). Of course, this is already happening on some boats -- I was tickled to get the new 2.0 Nobeltec TZ app working with AIS and GPS data from Vesper Marine XB8000 yesterday -- but it&apos;s only vaguely standardized and often frustrating. I have one engineer evaluating the technology. My aim would be to have a demo of some sort for METS so I can show a few interested parties something. I don&apos;t estimate a real product until next year. I think the aims of the system are very good, but there is much groundwork still to cover. 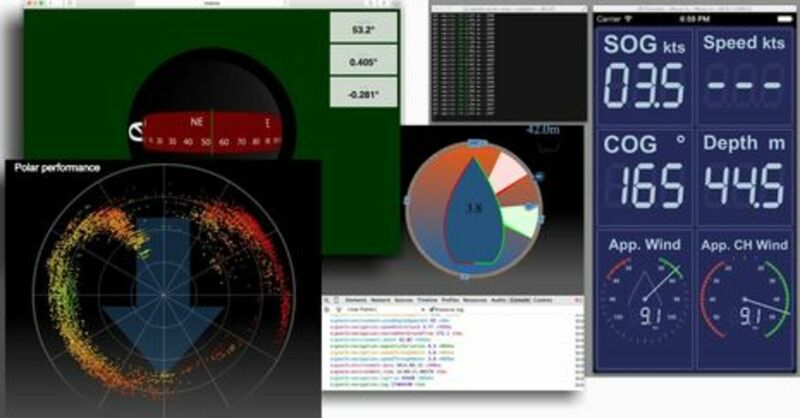 It will assist the NMEA and developers to really interact with their boat data in a much more accessible and easy way. There are so many different standards such as 0183, 2000 and various manufacturer buses that it will be great to have a single interface for web app developers to talk to. That&apos;s why I give it full support and hope to be one of the leaders in this as the standard develops. 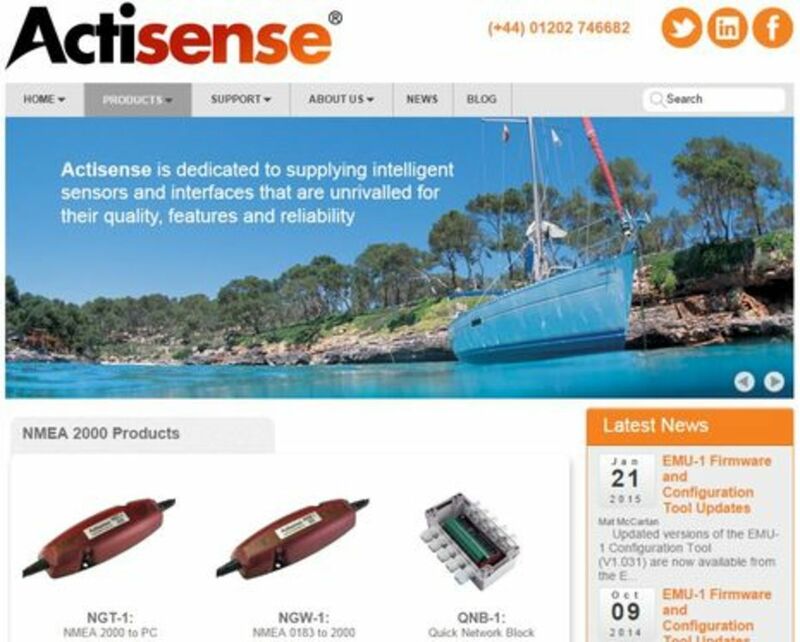 There&apos;s more to the whole Signal K system than just NMEA data translated into an easy and much extended Web standard, though, as Bill Bishop described in his K entry. 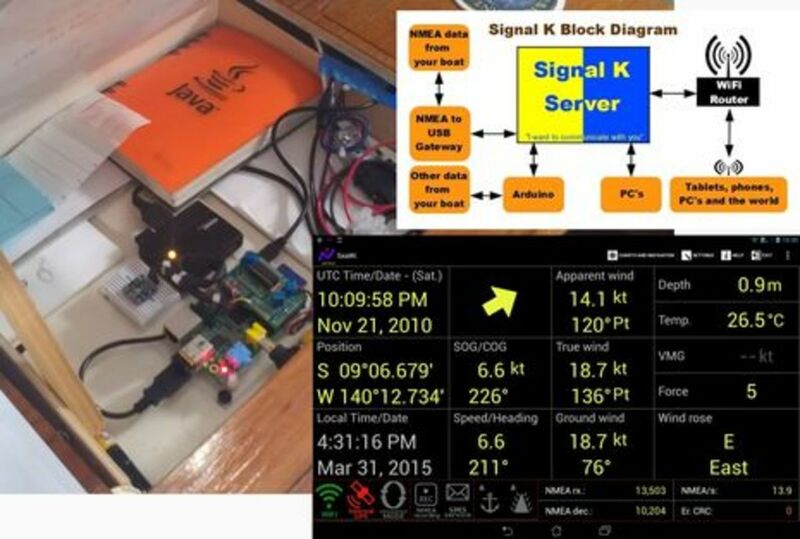 I&apos;ve collaged his block diagram of a possible Signal K server set-up with an actual NMEA 0183 Raspberry PI system built by another sailing geek named Olivier Le Diouris. To my knowledge, Olivier doesn&apos;t know about Signal K yet, but I&apos;ll bet he&apos;ll be interested. It&apos;s amazing how many creative and productive boating geeks are out there -- I met one in my New Bern marina -- and isn&apos;t it great that NMEA is recognizing their value? I&apos;ve long defended NMEA&apos;s intellectual property rights (and the right to sell its standards documents, as N2K is an open standard, not a free open source standard), but I like what may well be a new organizational attitude. 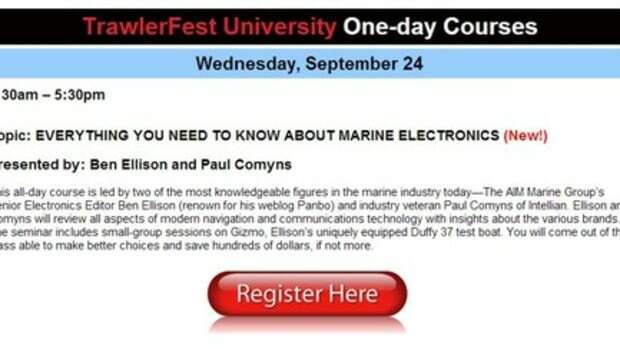 I understand, for instance, that the Signal K team is invited to present at next September&apos;s Conference in Baltimore (which I hope to attend on Gizmo, along with the nearby TrawlerFest), and check out the new DIY VHF Guide for Boater (PDF) I also circled on the screenshot below. 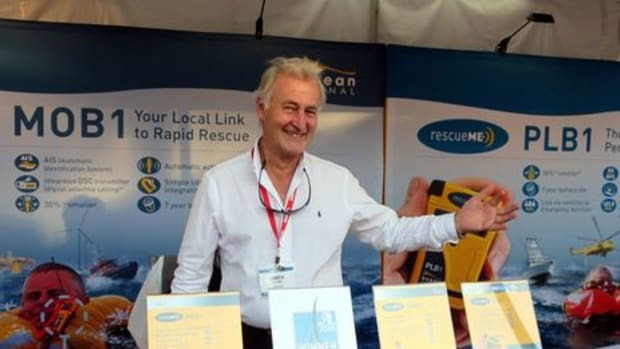 NMEA is a complicated outfit, as I&apos;ve tried to explain, but we should probably credit recently appointed executive director Mark Reedenaur and chairman Johnny Lindstrom for spearheading its latest moves. A big thanks to them, the rest of the NMEA, and the Signal K team for what they&apos;ve done so far! Now what do you all think?